Motorists have been urged to take care on roads across the country today as weather warnings for snow, ice and strong winds remain in place. 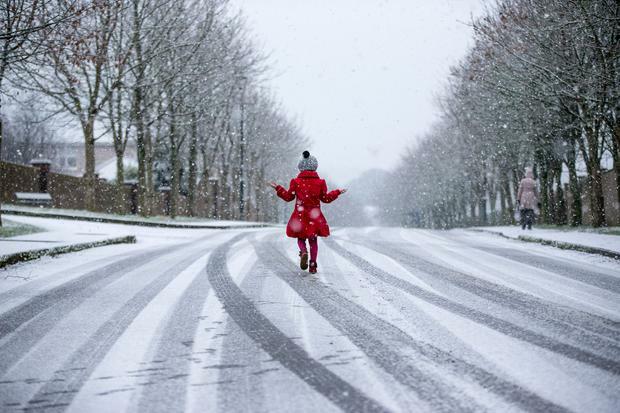 Snow and ice weather warnings were issued for last night with Met Éireann warning that snow accumulations of up to 2cm were expected in some areas. A status yellow warning for snow and ice remains in place until today at 10am, as there is a risk of sleet, snow and icy conditions gradually clearing northeastwards this morning. There is also a status yellow wind warning in place for south Wexford, Galway, north Leitrim, Mayo, Sligo, Clare, Cork, Kerry, Limerick and south Waterford. This weather warning remains in place until 1pm today. However, it will be a different story for the new year as the freezing conditions will ease from today, with 2018 set to open with warmer temperatures, blustery winds and occasionally heavy showers. The commute to work proved challenging yesterday for motorists in the south-west, Midlands and north with some areas seeing as much as 4cm of snow. The lowest temperature recorded was an icy -4.1C at Mullingar, Co Westmeath. Gardaí, the Road Safety Authority and AA RoadWatch urged motorists to drive with extreme care, given the risk posed by frost, ice and compacted snow. The greatest threat was posed by black ice, with many roads still waterlogged from the heavy rainfall before Christmas Day. Tonight, an Atlantic front will sweep over the country, bringing milder conditions but also wind and rain. Some areas will experience heavy showers with the best of the clear spells and sunshine likely on New Year's Eve. The icy conditions didn't disrupt major sporting events with Leopardstown Races continuing as scheduled after an early morning track inspection. Worst hit were mountainous parts of Kerry, Cork, Limerick, Tipperary and Wicklow as well as Donegal, Cavan, Monaghan and Louth. Kerry County Council had gritting lorries operating from late on Wednesday night, but urged motorists to take extreme caution when driving on higher ground where compacted snow and ice left surfaces treacherous. There were snowfalls in Cork along the Kerry border, and in towns including Kanturk and Newmarket. 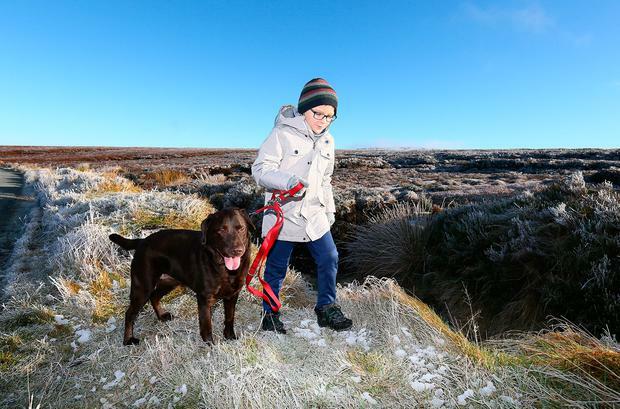 But Met Éireann's Evelyn Cusack said the snowy conditions would prove short-lived. "It is not going to be a widespread thing, the snow showers. Some areas will escape but it will remain very cold until today," she said. "But frost will stay in many areas throughout the day." Travellers heading to Ireland from the UK have suffered some severe transport problems with major delays on motorways across England, Wales and Scotland due to heavy snowfalls and spillover problems from the cancellation of some flights on Wednesday at Stansted. At one point, 300 passengers were in the Stansted Airport terminal after their flights had been cancelled. The airport said it provided hot food and drinks to all the passengers.